Many people don’t even know that ceiling fans come in different types as far as the number of blades fitted is concerned. 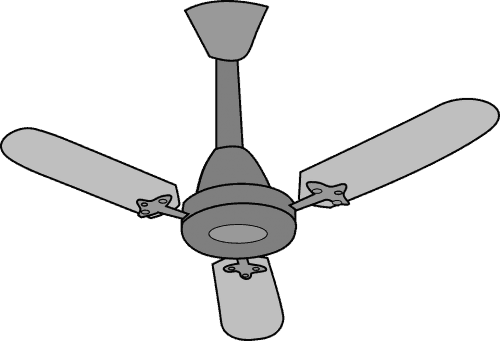 In India, fans typically have three blades because their solitary task is to provide good air circulation. However, in many countries like Canada and the US, fans can take different designs, and there are no restrictions on the number of blades a fan should have. In the US, the number of blades on a fan can be more than three and manufacturers concentrate more on their design rather than their purpose. So, why does the typical number of fan blades differ for some countries/climates? Places such as Canada and US are colder, and during the summer, almost all the homes are cooled by a central air condition. Fans are used in addition to the air conditioning unit. Therefore, they are required to run at a slow speed to keep the cool air coming from the air conditioner circulating evenly in the room. Besides being among the most developed countries, it is rare to see a fan being the major cooling device in a home. This makes them secondary devices when it comes to cooling and circulating air in a room. 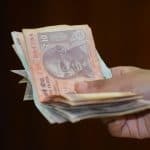 However, in a country like in India where the majority of the population cannot afford a central air conditioner, the only devices they rely on, are fans. That’s why they must be made in a way that they will circulate air in the best way possible. To support the above point, I must mention that the number of blades on a fan play a major role in how efficient it will be. The more the number of blades, the higher the chances that the fan will not distribute air equally in every place. Besides, with three blades, a fan is able to remain balanced and can supply a good amount of air evenly which will make it more effective in beating the tropical and summer heat in a country like India. With lesser blades, fans can operate at higher speeds, and this will make them more efficient in cooling rooms and surrounding areas. By increasing the number of blades, a fan will have an aerodynamic drag on its motor, thereby reducing its efficiency. Therefore, in a country like India where central air units are not affordable to many and temperatures can rise to uncomfortable levels, fans with three blades will be most effective in circulating air. Another reason why Indian fans have three blades is because of their affordability. As fans get fitted with more blades, they become more expensive and will use more energy because of their heaviness. In the US, since they are not primarily used for cooling, manufacturers don’t focus a lot on purpose, rather they focus on design and addition fixtures that can be fixed to a fan. In India, since the sole purpose of a fan is to circulate air cost-effectively, the maximum blades that need to be fixed without compromising efficiency are three. For everything that happens, there is always a reason. It is just that we don’t concentrate enough or dig deep to see the reason. So for those people who were always wondering why some fans have three blades while others have even five, we hope that this article has provided you with three convincing reasons. And for those who were not even aware that Indian fans have three blades while those in other countries have an unspecified number of blades, we are glad to have shared some insights. To wind this up, the major reason you find fans in US and Canada having more than three blades is that the fans are only meant to supplement the air conditioner during hot days. In winter, many of these fans are made to rotate in a clockwise manner as opposed to counter-clockwise manner to keep the house warm. Therefore, a lot of focus is not given to the purpose, but rather to the design. However, in India, fans are solely used for cooling and circulating air during the tropical and summer heat and thus, must be made in a way that they will be highly effective for this task. Also, because in most homes they are the sole cooling units, they must be highly effective in cooling air and saving energy.